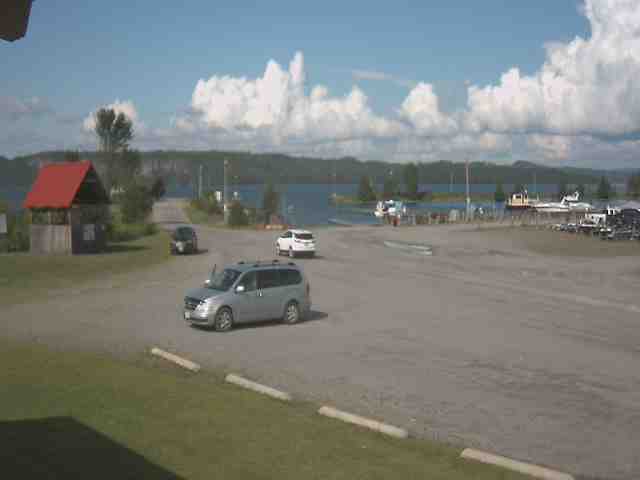 The Marina in Red Rock is in the secure freshwater harbour of Nipigon Bay. It has deep water access from the Simpson Channel all the way to a fully-serviced Marina. The Marina hosts a state-of-the-art security system operating 24 hours of surveillance recording. The Marina entrance has a depth of 3 meters (9’8″) up to and along the fueling peninsula. The Marina has three docks with a capability of docking 82 vessels. The Marina enhancements began in 1992 with the construction of the breakwall that was built as an innovative demonstrative project of the Lake Superior Programs Office. It integrates fish and wildlife habitat into standard breakwall design. Phase II of the Marina is the Timber-Frame Straw bale Building. The building will offer boaters washroom, shower and laundry facilities. Additional ammenities include: Wi-Fi access The Marina Restaurant and Superior Treasures Gift Shop. Gas and diesel fuel, pump out, water, electrical and launch facilities are available at the marina between the months of May to October. The marina centre has a multi purpose room avaliable for meetings and conferences. To reserve the space for you next conference contact the municipal office at (807) 886-2245. Be sure to book the Marina Restaurant for the conference catering.